Tokyo+Mew+Mew+-+Creditless+Opening+and+Creditless+Ending.avi​ (1.0 MB) - added by ulti-killer 8 years ago. Adjust threshold for xvid packed b frame detection. If you note any packed bitstream regression, check this commit first and report it. 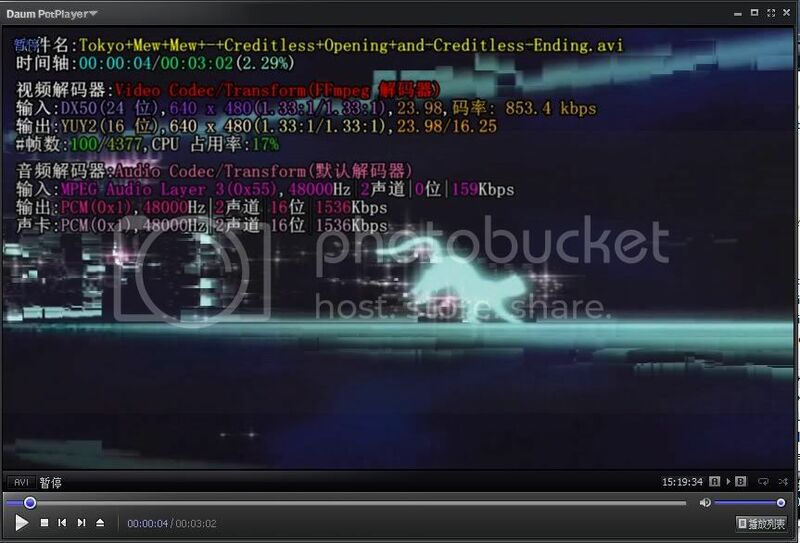 The problem is not solved latest ffmpeg or libav codec yet.